Hungary’s ruling regime, which passed a probably unconstitutional law restricting Jobbik and all other parties from buying advertisements on billboards at discounted prices, begins the weekend with a rude awakening. If the opposition party is no longer allowed to purchase advertising space at below market rates, why not just buy the physical billboard altogether, through an advantageous financing agreement with a friendly oligarch? That’s exactly what Jobbik did and in a country where everything is stranger than fiction, you now have a political party that has suddenly become the owner of extensive billboard infrastructure that dots highways, roads and busy intersections. Jobbik, which irked Fidesz by plastering the country with billboards that showed the close-up, black-and-white faces of corrupt and morally depraved-looking Fidesz politicians, promising to boot them from power, is believed to have secured most of these billboard spaces at heavily preferential rates from multimillionaire Hungarian media magnate, businessman and oligarch Lajos Simicska. As our readers will remember, Mr. Simicska was Prime Minister Viktor Orbán’s college roommate years ago, a close friend and supporter, up until their spectacular, obscenity-laced falling out two years. Since then, Mr. Simicska appears to support Jobbik’s efforts from the background, although he has turned his Magyar Nemzet daily and his cable television network, Hír TV, into reasonable, measured media platforms that appeal to liberal and left-leaning voters too. 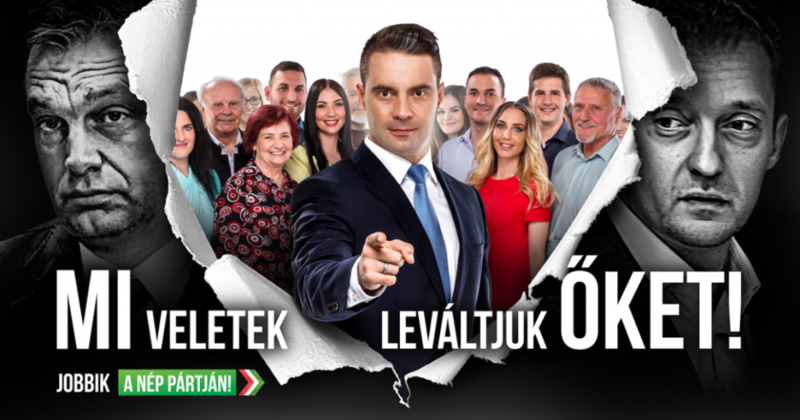 Péter Jakab told the Magyar Nemzet daily that the controversial legislation banning parties from obtaining billboard spaces at discounted rates no longer applies to Jobbik, as the party now owns physical billboards across the country. Mr. Jakab also claimed that his party purchased physical billboards from more than one company, trying to dispel the strong suspicion that Mr. Simicska may have played a central role in this deal. The party spokesperson added that these billboards will be used to promote Jobbik all the time, even when it is not election season. They have no intention of ever offering these for private, commercial advertisements. The new Jobbik billboards will follow the three themes of the party’s campaign ahead of the April 2018 elections: anti-corruption initiatives, stopping the out-migration of Hungarians by increasing wages and controlling immigration to Hungary by the re-establishment of the Hungarian Border Guard Service. (The Service was merged with the Hungarian police force in 2007, three years after Hungary joined the EU.) Jobbik also promises to do away with residency bonds that Fidesz has allowed wealthy foreigners to purchase, in order to buy access to Hungary and to the EU. In addition to buying physical billboards, people almost certainly associated with Jobbik have found another way to circumvent the Fidesz law. Hundreds of billboards have sprung up in Hungary that bear the name of no political party or individual politician, but depict Viktor Orbán, Fidesz politician, village mayor and billionaire plumber Lőrinc Mészáros, mysterious political adviser Árpád Habony and Antal Rogán, who is perpetually implicated in suspected corruption, alongside the word “gangsters.” Jobbik’s spokesperson emphasized that his party wholeheartedly agrees with this message, but denies that it is behind the anonymously posted billboards. It’s an ominous collaboration — a supremely corrupt former oligcroney of Orban’s with a closet neo-nazi cult trying to play on both anti-Fidesz sentiments and xenophobic bigotry. If only the fallen oligarch had mutated miraculously into a benign humanist like the cruelly maligned George Soros, rather than just another Beelzebub avatar: then the billboards would have had an entirely different portent. Anything that helps undermine and topple the Orbán mafia regime. The ban/restriction on political advertising is illegal – the Orbán regime amended a law regulating the image of townships in an attempt to circumvent the 2/3 qualified majority law regulating political advertising. So much for the legitimacy of this regime. Any company that owns bill-boards rents them for profit. In case it give discounts to any costumer, being a politically motivated advetisement , the discount the bilboard company gives to political advertisers is “camapagn donations”. Just as same as giving cash to any political candidate. That must be declared, and NOT tax-deductable. At least normally. But of cause when it come to Hungary, just what could be considered normal ? Unless of cause, like in the USA, that it considered “free speech”, and corporations considered same as persons. Jobbik (or whomever is “advising them”) have been very clever. 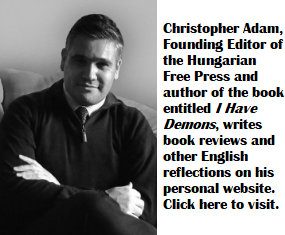 I can understand the serious reservations about supporting any of their actions never mind the party itself…however, the greatest evil facing Hungary today is the Orbanist regime and if Jobbik, Simicska or indeed Satan himself is required to remove this evil, then…. @Stranded in Sopron, I hope you are right. But pinning hopes on a Faustian Bargain with Simicska & Jobbik strikes as hasardous. How can (theoretically) the dem side win along your moral line?